Your students will explore the mathematical connections between numbers and the AM/FM frequencies on the radio dial. Your hosts discuss their favorite mathematical concepts which have helped them uncover the hidden beauty of music. 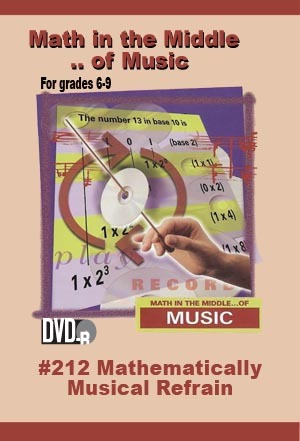 •Review the relationships between math and music. •Learn about Pythagoras and the role of strings in the production of pleasing sounds. •Study the relationship between whole number multiples and the fundamental frequency.